A set of 3 clip on eyeglasses or loupes. 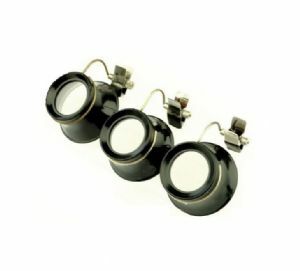 1 of of each of the following magnifications : 2x , 2.5x, 4x. We have a no quibble Freepost returns if you need it for any reason.